Samantha Reitmayer Sano, left, and her friend Joslyn Taylor make things happen at Swoon the Studio. 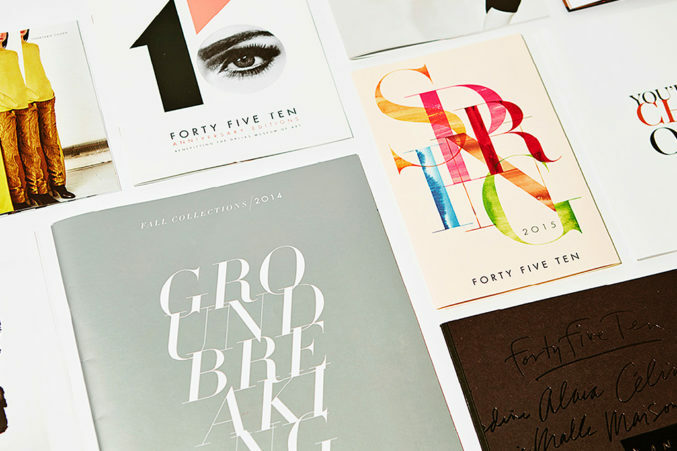 The designer-turned-executive transformed a risk into a successful, profitable venture in upscale branding. Samantha Reitmayer Sano started a company by accident. “I really did not intend to start a studio,” she says. “I wasn’t sure what I was going to do.” The graduate of Texas Christian University had begun her career at Dallas-based 2C Design, where she worked her way up to lead designer. In 2002, she joined Dallas’ Rovillo Design Associates, which would become Rovillo + Reitmayer just two years later, with Sano as creative director and principal. It would be another nine years before she would branch out on her own and open Swoon the Studio, a multidisciplinary Dallas firm focusing on luxury branding and design. At the time of her exit from Rovillo + Reitmayer, the company was billing $1.5 million with a staff of just eight. Sano decided to use that as a guidestone for her new business. “When I got to that point here, I knew it would be successful,” she says. Since then, she’s doubled her employee count—it’s 15 now—and more than tripled her annual revenue. 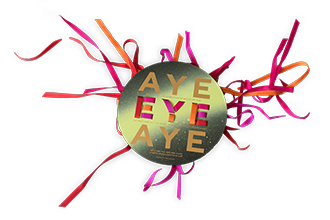 “Aye, Eye, Aye” This year’s party, held April 8, was inspired by the Mexican holiday Día de los Muertos (Day of the Dead). Swoon’s touches included festive invitations in shades of pink and orange as well as massive floral installations in explosions of color. “What the Eyes See and the Ears Hear … the Mind Believes.” This psychedelic theme led guests down a trippy tunnel to enter the party, where Brian Bolke, owner of the Forty Five Ten boutique, and other fashionable partygoers took part in some sleight of hand from magicians. A circus theme kept guests entertained with a giant swing set and a Swoon-installed display of surrealist mannequin arms. The crowd was serenaded by Leon Bridges, the then-up-and-coming gospel/soul singer and songwriter from Fort Worth. But the decision to strike out on her own wasn’t made lightly. While at Rovillo + Reitmayer, Sano had been blogging on the side, which led to a few “press clips” and some freelance opportunities with FD Luxe, a monthly luxury publication. When she decided to leave Rovillo, she took some meetings with friends and clients and decided there was just one option for her: to open up shop with a previous coworker, Kevin Thomas. “We decided it was just going to be the two of us, and we were just going to work on what we liked,” she says. As Sano was building the company, blogger friend Joslyn Taylor had left her 15-year track in corporate marketing to head up D Magazine Partners’ shelter publication, D Home, and to help launch a new title called D Moms. As Swoon grew, Sano knew she needed extra help and asked her friend Taylor to come along for the ride. “I was embarking on working with one of my dearest friends—that’s scary,” Taylor says. “You never want to jeopardize that.” Again, risk paid off. With the addition of Taylor’s skill set, Swoon has grown to 15-18 interior projects at any given time. 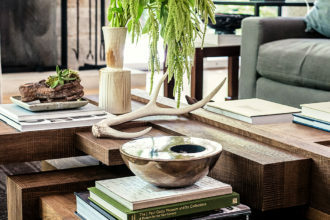 Taylor, who acts as principal of interiors, has also dipped her toe back into publications. 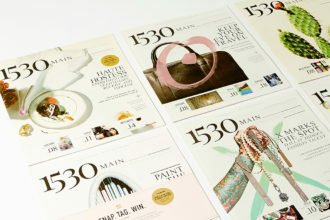 Swoon produces 1530, an in-house magazine for The Joule Hotel, as well as Highland Park Village Magazine, a fashion publication for the upscale shopping center. In addition to magazines and interiors, Swoon also develops experiential programs for clients—such as Highland Park Village’s “Local” farmers market—and full event design, like the Dallas Art Fair’s annual Eye Ball. It’s also taken on massive hospitality projects, like a nearly-complete overhaul of the historic Adolphus Hotel. 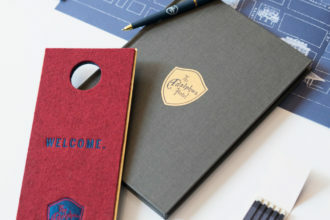 Clockwise from top, Swoon’s touch is evident in items—and the lobby décor—at the Adolphus Hotel, The Joule’s 1530 magazine, and a residential interior. “Joslyn called me and said, ‘I need you to meet me at the Adolphus. They want to give us a project,’” Sano recalls. 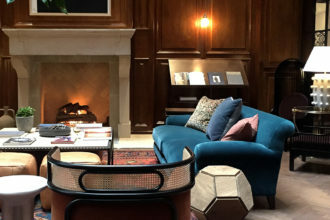 Her team has been busy ever since redesigning the landmark hotel’s lobby and entry area, meeting and events rooms, and even the famous French Room restaurant. Other clients have included AT&T Stadium, Neiman Marcus, the AT&T Performing Arts Center, and the George W. Bush Presidential Center. Add that to the list of ways Sano carefully crafts the team around her. “We do not have one weak link,” she says. “Everybody has to be a self-starter. When you walk in, you’re not handed a manual.” But, her team of “makers” wouldn’t have it any other way.